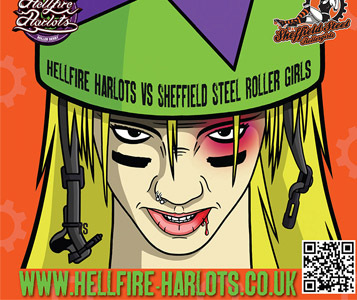 Description: The Hellfire Harlots are once again bringing you an exciting bout of live roller derby. This time sees us take on Sheffield Steel Rollers, in a return bout that will be our last home game of the year. Don’t worry all ye fans out there, we have two away games still to play! !